How do I use Printopia to cut 2x6 photo strips? 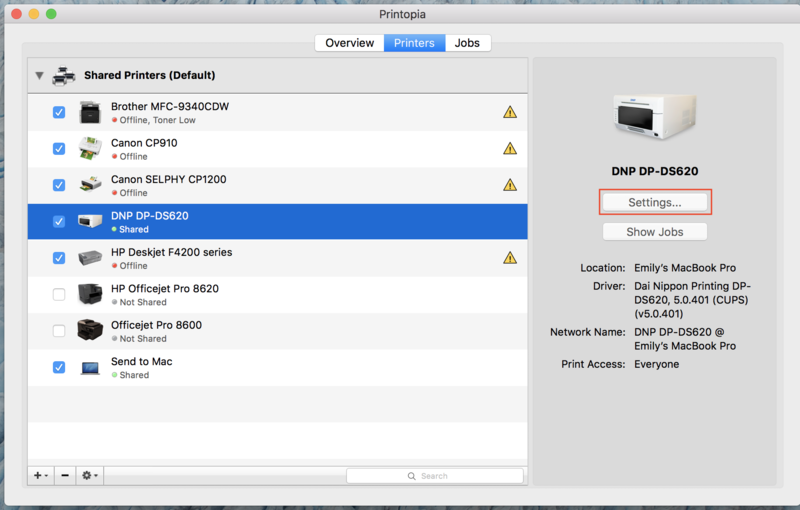 Before proceeding, be sure the most recent printer driver update is installed to your Mac, and that the printer is turned on and plugged into your computer. 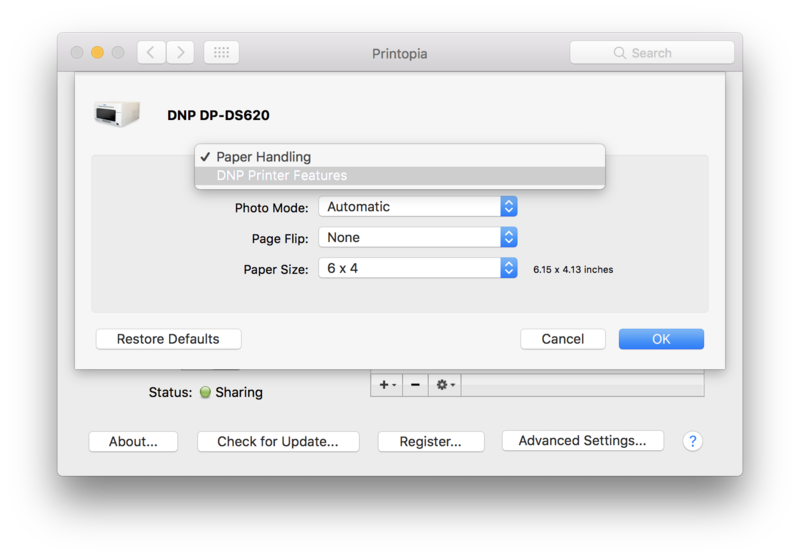 Follow these steps to enable 2x6 cuts on your dye-sublimation printer using Printopia. 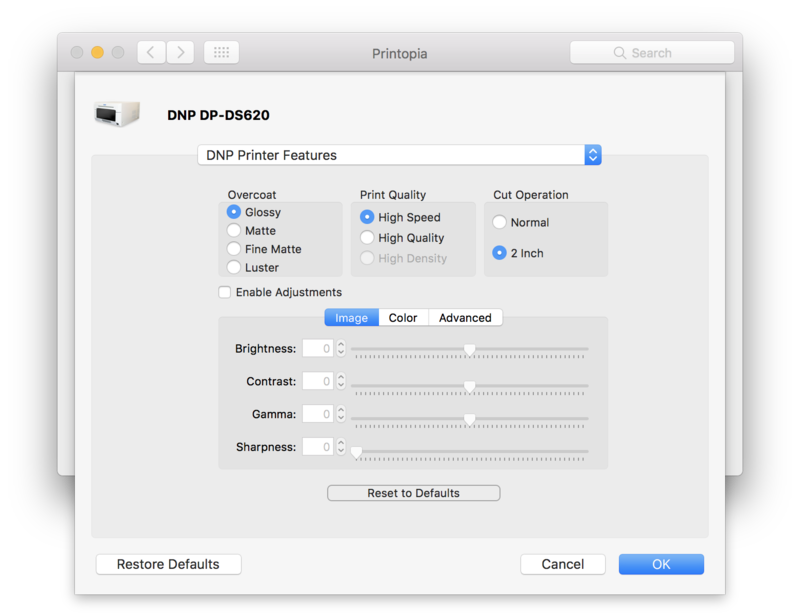 Select the printer you are using, and then open the settings from the right hand side of the page. Make sure your iPad is properly connected to the printer and then try a test print, you should be good to go!